All custom content or mods have been added in the download package. It includes decors, textures, wall textures and other objects. It is recommended that you install all of it to have the same exact house just like on the pictures below. Step 1: Copy the house files (.blueprint, .bpi, .trayitem) at Documents » Electronic Arts » The Sims 4 » Tray. 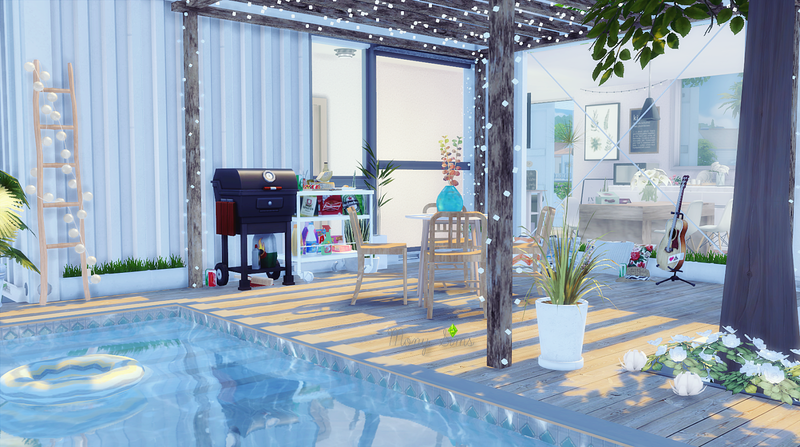 Step 2: Place each .package files found inside the Mod folder at Documents » Electronic Arts » The Sims 4 » Mods. You must copy the files and not the folders. 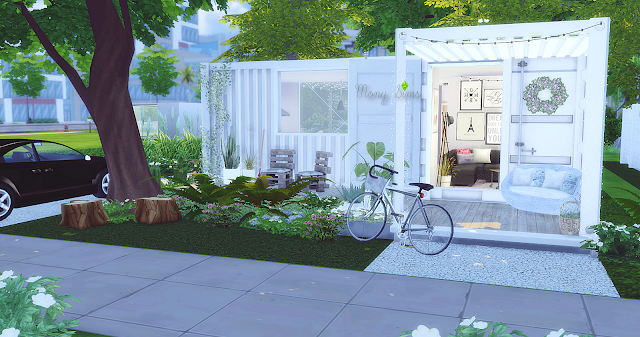 Step 3: Go to your library, look for the house and place it on an empty lot. 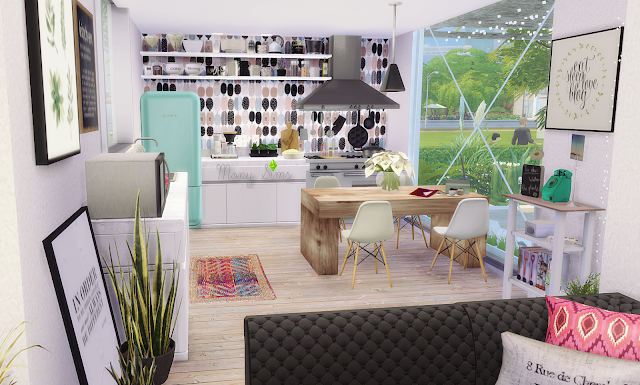 For more information regarding installation, read our How to Install Sims 4 House Guide. It said system error! Does it have any requirement? 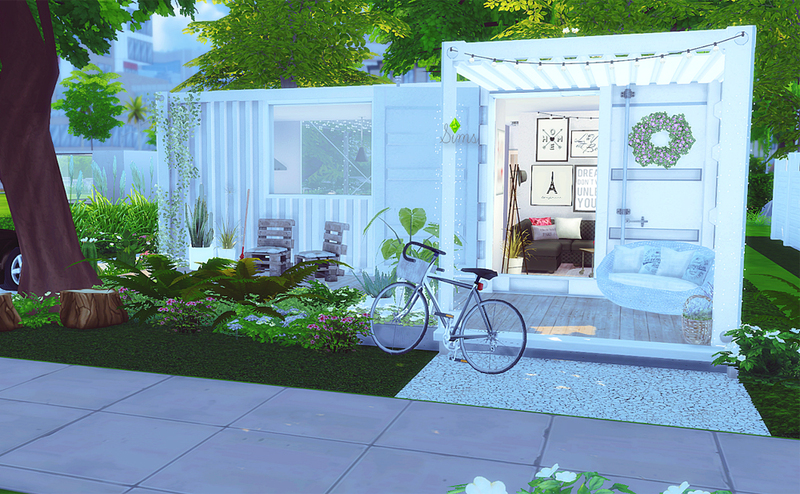 Wow, this is gorgeous <3 I agree, it's convenient to have all the cc in the package. Thank you! hi there. i love your house but i'm can't get it to show up in my gallery. I've copied and pasted files into tray, i've unpacked all the mods and taken the files out of the file folders ad copied cover the individual packages, but it still wont show up. I'm on a mac, but other houses I've downloaded are doing fine. Any suggestions? You have to click on advanced when you're in the "My Library" tab and turn on "show custom content." its an awesome house, but the couch doesnt work. I tried playing this house, but it's just impossible. The only thing it's good for is taking pictures, I guess. Such a shame. hi there! thank you for create this. 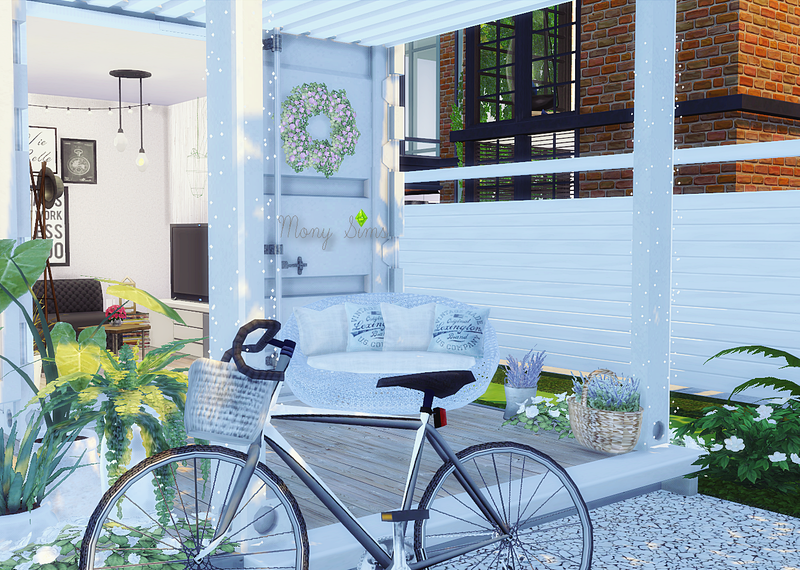 cute home i ever have and so easy to download, all of the cc in one folder. doesn't need to download one by one. make my life easier. much love! plus it's free. yeayy! First, I want to say how fantastic this house is. However, I put all of the "files" in the Tray folder and when I went to go add the lot it wouldn't appear in my Library. Any thoughts? Did you put "include cc"?